Rain is the leading cause of weather-related accidents. Follow these simple tips to drive safely during summer storms. If you live in St. Louis, you know how fast a summer storm can blow into the city – and how devastating a storm can be to traffic. It’s not uncommon to face serious delays – or accidents – when a severe storm reaches the city. The last thing you want is to get into an accident during a summer downpour. 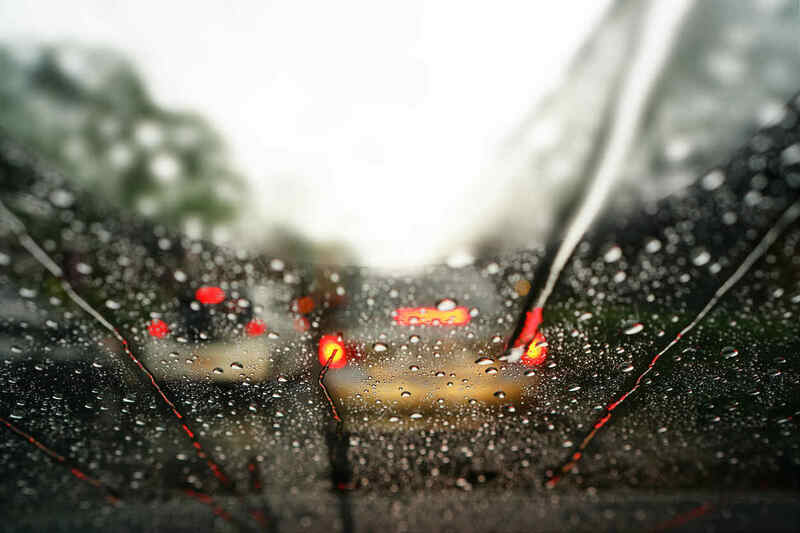 In this article, we’ll give you some advice from experienced St. Louis car accident attorneys that will help you stay safe on the roads during the rain! Highways are usually the most common area that an auto accident will occur due to rain, because of the high speeds and reduced visibility. In addition, changes in traffic patterns caused by crashes may make traffic flow unpredictable – further increasing your risk of an accident. Consider checking the condition of the roads and accident reports before driving in the rain, and taking an alternate route that avoids highway slowdowns and accidents. Your car needs to be in good shape to keep you safe during a storm. If your tires are worn down, you’re more likely to hydroplane – skid across the surface of the water – when trying to stop or slow down. This is because the “siping” that ejects water from your tires is too worn-down. Make sure your tires are in good condition before summer rains come to town. In addition, make sure your windshield wipers are working correctly, and that you have plenty of wiper fluid so you can wash away dirt and mud. The higher your speed, the harder it is to stop without hydroplaning while driving in the rain. Take things slow. In addition, take it easy on your brakes when you can. The slower you brake, the less likely you are to hydroplane. Turn down your music, and don’t even think about touching that cell phone. You need to drive without interruptions and distractions to make sure you’re safe in a storm. That means you need a full awareness of your surroundings. You are supposed to keep one car length between yourself and other drivers for every 10 mph your speed increases. Follow this guideline – and add an extra 2-3 lengths. This will ensure you have plenty of time to react properly in case of an emergency stop. Rain is the leading cause of weather-related accidents. Following these simple tips can save lives. If you have been involved in a weather-related car accident in St. Louis, give us a call 24/7 at (314) 361-4242 for a FREE case evaluation.